Appreciate the collections at Shrine of Remembrance and National Gallery of Victoria. Eschew the tourist crowds and head to Eastern Beach Reserve and ArtVo. The adventure continues: take in nature's colorful creations at Royal Botanic Gardens, see the interesting displays at Melbourne Museum, take in panoramic vistas at Eureka Skydeck 88, and take in the architecture and atmosphere at Scots Church. 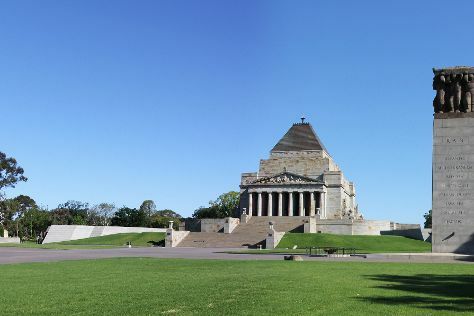 To find more things to do, maps, ratings, and other tourist information, read Melbourne trip itinerary planner . Sydney to Melbourne is an approximately 3.5-hour flight. You can also do a combination of flight and shuttle; or drive. Traveling from Sydney in April, things will get little chillier in Melbourne: highs are around 23°C and lows about 11°C. Cap off your sightseeing on the 5th (Fri) early enough to go by car to Bendigo. 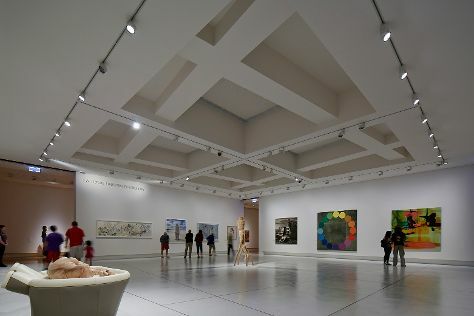 Museum-lovers will appreciate Bendigo Art Gallery and Golden Dragon Museum. Get in touch with nature at Castlemaine Diggings National Heritage Park and Lake Weeroona. Explore Bendigo's surroundings by going to Maldon (Maldon General Cemetery & Main Street) and Echuca (National Holden Motor Museum : Echuca & Port of Echuca Discovery Centre). There's more to do: get to know the fascinating history of Rosalind Park and browse the exhibits of Post Office Gallery (Bendigo Art Gallery). For reviews, more things to do, photos, and tourist information, read Bendigo road trip planning tool . You can drive from Melbourne to Bendigo in 2 hours. Alternatively, you can take a bus; or take a train. Finish up your sightseeing early on the 9th (Tue) so you can go by car to Ballarat. 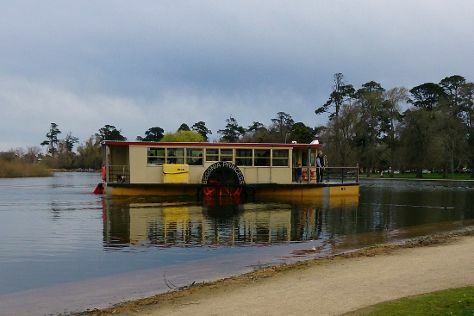 Take a break from the city and head to Lake Wendouree and Ballarat Wildlife Park. You'll discover tucked-away gems like Art Gallery of Ballarat and Ballarat Botanical Gardens. Explore Ballarat's surroundings by going to Daylesford (Stony Creek Gallery & Lake Daylesford). Next up on the itinerary: browse the exhibits of Sovereign Hill, don't miss a visit to Lydiard Street, take in the spiritual surroundings of St Augustine's Church, and admire the striking features of St Patrick's Cathedral. To find ratings, where to stay, other places to visit, and more tourist information, refer to the Ballarat online tour itinerary planner . You can drive from Bendigo to Ballarat in 1.5 hours. Alternatively, you can take a bus; or take a train. In April, daytime highs in Ballarat are 24°C, while nighttime lows are 11°C. Cap off your sightseeing on the 12th (Fri) early enough to go by car to Halls Gap. Get outdoors at Halls Gap Zoo and Climbing Tours. 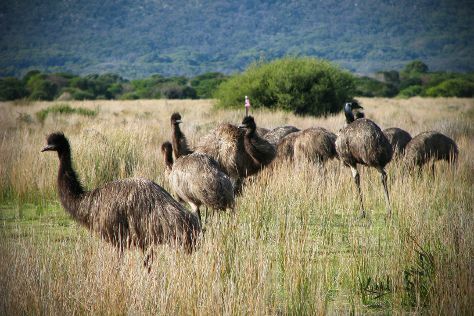 Eschew the tourist crowds and head to Grampians National Park and J Ward Museum Complex. Explore the numerous day-trip ideas around Halls Gap: Dunkeld (Mt Sturgeon & Chimney Pots) and Ngamadjidj Shelter (in Laharum). Next up on the itinerary: take in the dramatic scenery at MacKenzie Falls, hike along The Pinnacle, and tee off at Grampians Adventure Golf. To see photos, ratings, and more tourist information, go to the Halls Gap trip builder website . You can drive from Ballarat to Halls Gap in 2 hours. Alternatively, you can do a combination of train and bus; or take a bus. Cap off your sightseeing on the 17th (Wed) early enough to go by car to Warrnambool. Warrnambool is a regional centre and former port city on the south-western coast of Victoria, Australia. Museum-lovers will get to explore Flagstaff Hill Maritime Village and Allansford Cheese World and Museum. You'll discover tucked-away gems like London Bridge and Bay of Islands. 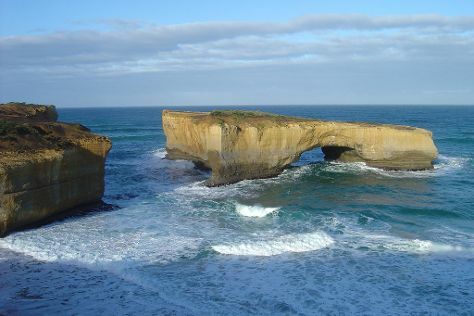 Venture out of the city with trips to Port Campbell (Gibsons Steps & The Grotto). And it doesn't end there: contemplate the geological forces at Tower Hill Wildlife Reserve, walk around Lake Pertobe Adventure Playground, identify plant and animal life at Thunder point Coastal Reserve, and stroll the grounds of Tower Hill Cemetery. To see ratings, more things to do, maps, and more tourist information, use the Warrnambool vacation builder . Getting from Halls Gap to Warrnambool by car takes about 2.5 hours. Other options: take a bus. Wrap up your sightseeing on the 20th (Sat) early enough to drive to Apollo Bay. Apollo Bay is a coastal town in southwestern Victoria, Australia. 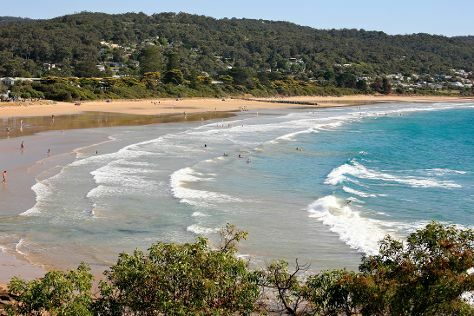 Explore hidden gems such as Lorne Beach and Great Ocean Walk. Escape the urban bustle at Mait's Rest and Erskine Falls. You'll find plenty of places to visit near Apollo Bay: Loch Ard Gorge (in Port Campbell), Otway Fly Treetop Adventures (in Weeaproinah) and Split Point Lighthouse (in Aireys Inlet). Next up on the itinerary: make a trip to Teddy's Lookout, take in the dramatic scenery at Sheoak Falls, and get great views at Mariners Lookout. To see other places to visit, traveler tips, where to stay, and tourist information, use the Apollo Bay trip tool . Drive from Warrnambool to Apollo Bay in 3 hours. Alternatively, you can take a bus; or do a combination of train and bus. Wrap up your sightseeing on the 24th (Wed) to allow time to travel to Wilsons Promontory National Park. You'll discover tucked-away gems like Wilsons Promontory National Park and Reeeves Beach. Take a break from the city and head to Squeaky Beach and Little Waterloo Bay. Change things up with these side-trips from Wilsons Promontory National Park: Woodside Beach (in Woodside), Alberton Cemetery (in Alberton) and Cape Liptrap Lighthouse (in Tarwin Lower). There's much more to do: hike along Mt Oberon Summit Walk, get great views at Vereker Outlook, stroll through Cotters Beach, and enjoy the sea views from Wilsons Promontory Lighthouse. To find maps, traveler tips, ratings, and more tourist information, use the Wilsons Promontory National Park road trip app . You can drive from Apollo Bay to Wilsons Promontory National Park in 5.5 hours. You will have some time to spend on the 30th (Tue) before leaving for home.